Head coach Scott Frost has a history of taking multi-positional athletes, lining them up all over the field and watching defenses have fits trying to figure out how to slow them down. At Oregon, 5-foot-11 wideout Josh Huff had 300 yards receiving and 200 yards rushing during his freshman season in 2010. Running back Kenjon Barner, a 5-foot-9 speedster, wasn’t directly coached by Frost (Barner's four years coincided with Frost's four years as receivers coach at Oregon) but was a dual-threat in his own right. Barner ended his four-year career with the Ducks with 3,623 rushing yards and another 600 yards receiving. De’Anthony Thomas, another smaller back at 5-foot-9, ended a three-year Oregon career with 1,890 yards rushing and 1,296 yards receiving. At Central Florida, Otis Anderson, a 5-foot-11 listed wideout, tallied 494 yards rushing and 351 yards receiving with seven touchdowns during his freshman campaign. Miles Jones is up next. 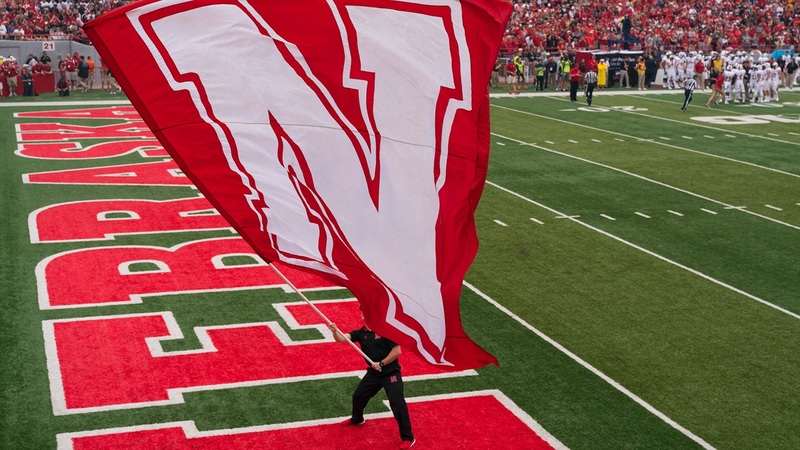 Wideout JD Spielman figures to get a hefty dose of backfield usage in Frost’s new offense, and the Huskers have a stable of talented running backs after this class, but the 5-foot-9 athlete from Fort Lauderdale, Florida, has the coaches’ attention. Offensive coordinator Troy Walters said Wednesday night to a group of season ticket holders and program donors that Jones was going to be used everywhere. Frost said the same thing that day during his press conference. Jones has speed and a sort of spurtability — to borrow the phrase from Clark Kellogg — to his game, a combustible factor that makes him an exciting name to watch as things start to move along. At an event in Grand Island Thursday night, running backs coach Ryan Held said that most, if not all, of the wideouts in this 2018 recruiting class will have the chance to see playing time in 2018. That means Jones should be able to get on the field. Jones is a Florida kid. So is Anderson. Expect this staff to stay in the Sunshine State in future classes in order to continue injecting some speed into the Nebraska program. As someone that’s clocked a 4.62 40-yard time, a 10.7 100-yard time and a 37.9 inch vertical, Jones is probably not someone to challenge.